$55 per hour (Min. 2 hours) recording & mixing in a Protools studio. This rate is for general music recording & mixing. Includes engineer. $65 per hour (Min. 3 hours) recording & mixing in a Protools studio. This rate is for general music recording & mixing. Includes engineer. $80 per hour (Min. 2 hours) For voice-overs, sound editing, sound design & video editing. Includes engineer. $120 per hour (Min. 4 hours) For Sound Mixing, Sound Editing or ADR with Picture. View your video/film content on our monitoring system while we mix the audio. Includes engineer. $200 per hour (Min. 2 hours) For professional location audio engineering and/or professional video production services. Includes engineer. "We knew that if we were to compete effectively , we had to have an edge. We got one with this company." So now that you have your sound recorded, now what? Do you want to air it on the radio for a local or national broadcast? Do you want to sell it online and compete with major artists? 360 Sound Studios provides professional mastering services. We work with both analog and digital equipment and pride ourselves on achieving the warmest sound and clarity. We have two tiers of rates tailored to meet the needs of your project, budget and style. $50 per file/song. This rate is for general mastering of one file/song, suitable for a professional release. You have to send us your file by email and we will send you back the mastered result. ​$100 per 1 hour mastering session inside our studio. This rate is for professional mastering for commercial projects, we can even restore the poorest quality audio. Mastered using precision equipment, suitable for commercial projects and for professional broadcast. 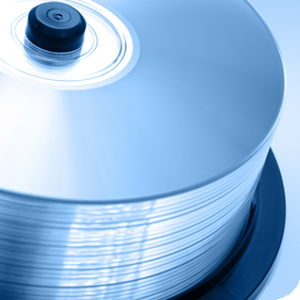 We accept MP3, AIFF & WAV files. Shoot video at our recording studio in our professional video room, your project will always come out sounding good at 360 Sound Studios, why not capture this special moment with a photo shoot or video here. Contact Us For Rates.